Are You a Toxic Leader? Here are three warning signs that you may be a toxic leader and how you can make changes to avoid these damaging behaviors. Let’s face it: As the leader of a company, region, or even a team, you have the power to influence those that report to you. This can be a great asset to teams governed by leaders that pride themselves on hard work, respect, and open communication. But what about a leader that does the exact opposite? A leader whose behavior creates a negative, possibly even hostile, working environment? Toxic leader: who are you? A toxic leader is defined as a person who has responsibility over a group of people or an organization, and who abuses the leader–follower relationship by leaving the group or organization in a worse condition than when they first found them. It’s easy for toxic leaders to blame poor performance and low morale on individuals within the team. But, at some point, it’s important to see if the way employees are managed is a direct reflection of their leadership. Here are three warning signs that you might be a toxic leader and how to fix the behavior. This type of toxic leader is an expert in failed time management. Leaders that are unable to prioritize tasks and allow employees to focus on getting their work done are really working to waste their most valuable resources: their trained team. A recent survey conducted by consulting firm RHR International showed that among high-performing leadership teams, 93% are able to prioritize the most important issues and 96% focus on the right issues. But in low-performing leadership teams, only 62% prioritize well and 53% are focused on the right issues. Change: Leadership that calls meetings without a set agenda, leaves issues unresolved, and veers off topic when met with questions needs to sit down and start to focus. Toxic leaders that find themselves with scattered priorities can easily get back on track by creating lists that document daily, weekly, and even monthly tasks. Work with your team to delegate tasks and create solutions to issues, and then give them the space to work on their assignments. The overly competitive leader with an eye on perfection often has a ‘winning is everything’ attitude, even if comes at the detriment of their team. This toxic leader doesn’t mind leaving broken employees on the sidelines if it means getting ahead. In reality, instead of getting ahead, these toxic leaders create a hostile work environment, where employees lose interest in their jobs due to unobtainable demands and a lack of trust in their leadership. Change: Leadership, and the rest of their team, must work as a unified team. “Shared goals must be accompanied by shared accountability,” writes Ron Carucci, co-founder and managing partner at leadership consulting firm Navalent, for Harvard Business Review. Remove the unnecessary competition from the workplace, and focus on dividing and conquering so everyone is doing their best and achieving their best. When conflicts arise, and they are most certainly going to, leaders need to step in quickly and efficiently to resolve the situation. When organizations have leaders that create or improperly handle conflict, the rest of the team follows their lead. These leaders often have a reason or excuse for any issues that arise and rarely take responsibility for their role in the matter. With high confidence in their abilities, toxic leaders with unproductive conflict often believe they are right and surround themselves with people that won’t challenge them. Change: Leadership needs to have certain behaviors that absolutely will not engage in: speaking negatively about team members or other employees or withholding feedback or suggestions that will positively impact their team. If you can relate to any of these points, sit down and write out behaviors that you will no longer engage in. Distribute this list to your team and regularly assess how you’re doing with your list and where you need to personally make tweaks. What are some other sign of a toxic leader? Will AI Change Supply Chain Leadership? Artificial intelligence is forcing change on the supply chain in many ways. But robots, autonomous vehicles, and drones are just part of the equation. Does AI pose a threat to supply chain leadership as well? Can AI change supply chain leadership as we know it? Artificial intelligence is coming to your business whether you’re ready for it or not (if it hasn’t already). Why does it matter? Because AI — the ability of machines to carry out tasks in a way we consider “smart” — can boost productivity and profitability. Some technologists draw parallels to the Industrial Revolution when machines lightened the load for humans by performing tasks that once required brute strength. Today we’re experiencing a second machine age as computers take on some of our mental workload by making data-driven decisions. The glass-half-empty crowd is worried that machines will replace humans and take our jobs. But the glass-half-full team sees new opportunities to unburden ourselves from repetitive tasks so we can focus on bigger strategic issues that need the nuanced emotional intelligence only we humans possess. “At some point in our evolution… leadership acumen transitioned from physical to cognitive skills, putting a premium on intelligence and expertise at the expense of force and strength,” writes HBR article authors Tomas Chamorro-Premuzic, Michael Wade, and Jennifer Jordan. Valuable intelligence won’t be delivered from the top down and may not come from the most experienced people on the team. It will come from every direction. Leaders should be open to suggestions and input from people using data at every level inside and outside the organization. Changing your mind is a good thing in the age of AI. Learning organizations should expect to revise plans and iterate quickly. Managers should be confident enough to propose a change of course based on new data and not feel the need to defend their decision. Operations can feel like shifting sands in an AI environment. 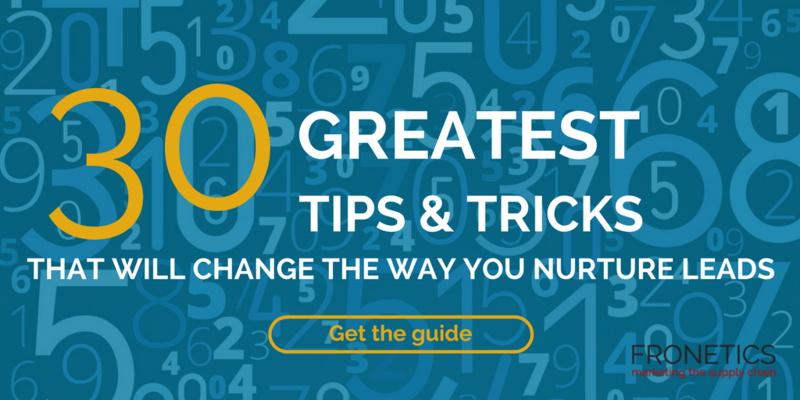 An organization that continuously adapts to capitalize on new opportunities can leave employees feeling like they don’t know what they’re supposed to be doing from one day (or minute) to the next. Successful leaders will emphasize long-term goals, encourage questions, and provide clear, thoughtful, consistent answers. 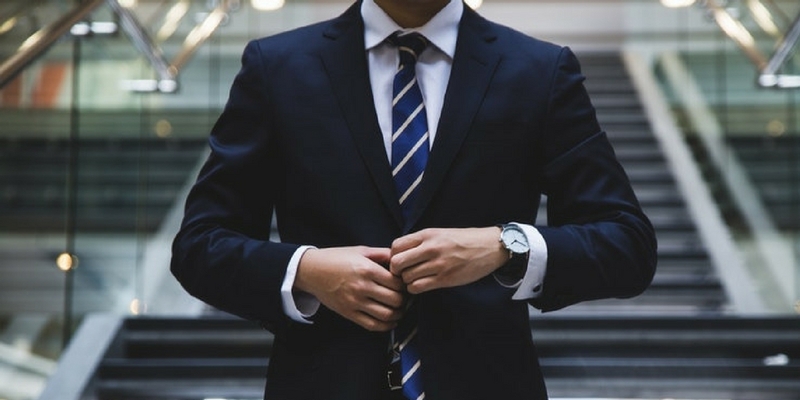 Successful leaders will come out of their executive suites and connect with customers, partners, and employees. You can’t wait for reports and meetings when fast-paced data-driven decisions are happening all around you. 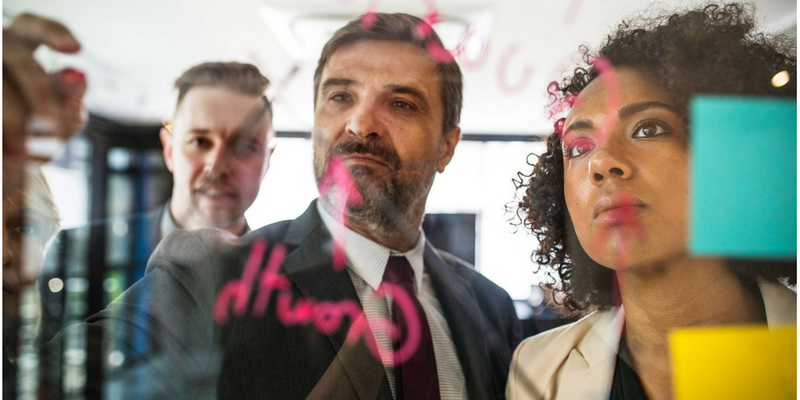 “Agile leaders need to stay engaged… and find ways to keep their teams engaged, particularly when the going gets rough and the path gets challenging,” according to Chamorro-Premuzic, Wade, and Jordan. So will AI change supply chain leadership? Learning and applying new skills won’t come easily for many businesses. Some managers might not be comfortable asking employees to demonstrate humility, adaptability, and vision. These are hard skills to measure and haven’t always been rewarded. Real digital leadership will require a blend of human and machine learning and a new way of understanding how things get done. Any company stands to gain by adopting these new ideas. 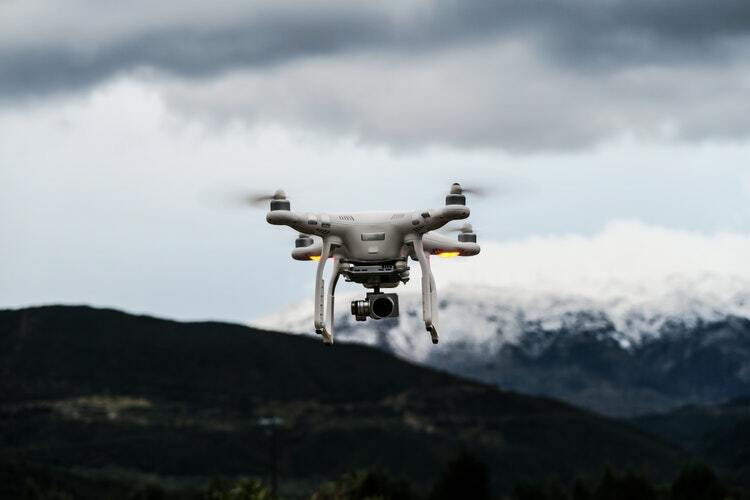 Logistics companies, at the nexus of operations for so many industries, can lead the way into the AI age by modeling new skills and applying them to their own businesses. What ways do you think AI will change supply chain leadership? Are We Thinking About “Soft Skills” All Wrong? Could Liberal Arts Grads Fill the Supply Chain Talent Gap? What Should Supply Chain Students Be Learning? Here’s What Google Thinks. If you want to be a better delegator, you have to assemble a strong team and make sure they use you as a resource, among other things. 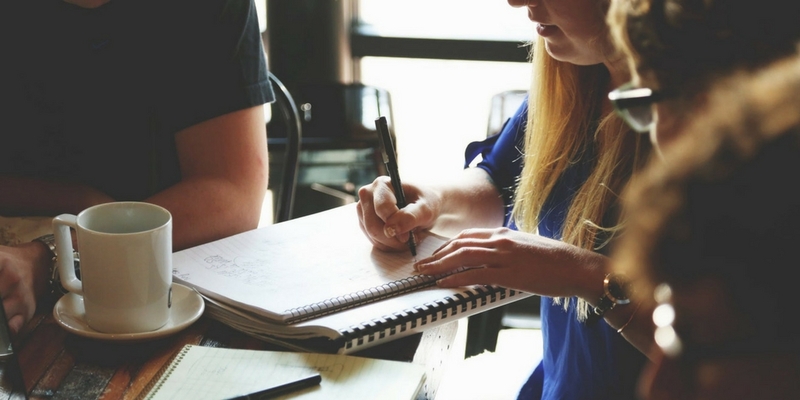 We’ve all heard it: the ability to delegate is critical to being an effective leader. And yet it’s one of the hardest leadership skills to master. Giving over control isn’t easy, but effective delegation is crucial to keep your business running smoothly — and to keep you sane! Here are our top 5 tips for supply chain leaders to become better delegators. This is about assembling a strong team you can trust. If you know you have smart, capable team members, you can be confident in the work they’ll perform for you, even if you’re not breathing down their necks. Setting up your team for success starts with clarity about your expectations. This means unambiguously communicating your goals for a project, as well as a timeline for benchmarks and completion. Your expectations should be challenging, but reasonable. And it’s your responsibility to make sure they’re understood. It’s important that your team knows that once you’ve handed over a task, you’re still available for clarification and support. Make sure good communication patterns are in place, and that your team feels free to come to you with questions and issues. This one is about helping your team understand the bigger picture of why a project is important or worthwhile, and about leading without fear or blame. To be fully committed to a project, your team members need to understand how the work they’re putting in is contributing to a larger result. Repeat this ten times every night before you fall asleep: “Micromanagement is counterproductive.” Leaders like to be in control. But once you’ve delegated a task, clearly communicated your expectations, and set up open lines of communication, it’s time to step back and trust your people, as well as your own leadership abilities. Say thank you! Providing written, verbal, or public recognition for a job well done is an important element of inspiring your team to perform for you the next time they step up to the plate. And an important element of your being a better delegator. What tips do you have for becoming a better delegator? Organizations that promote corporate social responsibility (CSR) are reaping the benefits of their good deeds, including increased brand awareness and employee satisfaction. Corporate social responsibility is a hot topic these days. Generally speaking, it’s a pretty broad term to describe how a company is working to improve its community. Companies can demonstrate CSR in lots of different ways, including donations, employee volunteering, implementing environmentally safe processes, and more. These efforts, whether large or small, say a lot about your organization. Companies that consistently demonstrate their commitment to CSR initiatives are recognizing their ability to help their community and acting on that knowledge. And the public is taking notice. 55% of consumers are willing to pay more for products from socially responsible companies. What does that mean for you? It means that corporate social responsibility is as good for your community as it is for your own brand. Here are four major benefits of corporate social responsibility. 4 benefits of corporate social responsibility. The way a company treats its community says a lot about how a company treats its employees. People that feel respected and supported in their jobs are often more productive and satisfied at work. 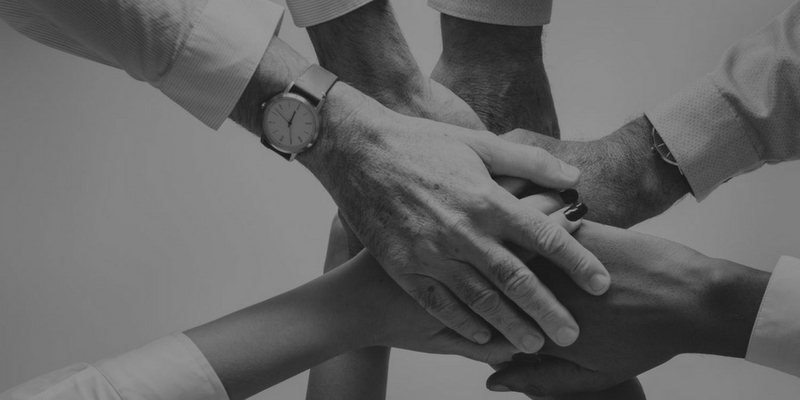 Giving your employees opportunities to volunteer, especially during working hours, creates a sense of community within your organization, as well as a connection to the surrounding community. Employees will gain motivation and pride in their work through these personal-development opportunities. Employees that are actively involved in the community are also acting as brand ambassadors. The more engaged and invested they are in your organization, and the greater community, the more productive they will be. In fact, companies with highly engaged employees saw 21% better business profitability. What could be better than happy employees promoting your brand while helping their neighbors? In today’s digital era, companies that demonstrate corporate social responsibility are gaining exposure — and praise — for their involvements. Your brand’s reputation can only benefit from good deeds in your community. Think about it: Consumers feel good when they buy products and services from companies that are helping their community. Don’t miss the opportunity to publicize your CSR initiatives and spread the word about your community involvement. Tweet, post, and share your social programs. Letting the public know about your good deeds will only work to increase your brand’s public image. In a 2016 Neilson survey, 56% of participants said “a brand being known for its social value” was a top purchasing driver. And 53% of participants said “a brand with community commitment” was a leading purchasing driver. Customers are more likely to be loyal to your brand if your corporate values align with their personal ones. What’s more, millennials — the largest population, over baby boomers, by 2019 — are driving the market these days. According to Forbes contributor Sarah Landrum, millennials prefer to do business with “corporations and brands with pro-social messages, sustainable manufacturing methods, and ethical business standards.” CSR programs work to showcase your corporate values and demonstrate that team work, community involvement, and engagement are at the top of your core values. Want your employees to start thinking outside of the box? Want to increase innovation in your company? CSR initiatives encourage your employees to try new things and get re-energized about their jobs. Through this social involvement, employees will feel empowered to start contributing to the bigger picture. They might come up with new ideas about products or internal processes or innovate new problem-solving solutions. When you demonstrate your company’s values and passions through community giving, employees will feel encouraged (and supported) to develop new and better ways to do their jobs. A commitment to corporate social responsibility is no longer optional. Companies need to understand that CSR affects their internal (employee engagement, productivity, turnover rate) and external (increased sales, customer loyalty, brand awareness) growth. By creating and participating in CSR initiatives, companies have the opportunity showcase their core values and create trust among your employees and your buyers. What corporate social responsibility initiatives have you implemented? 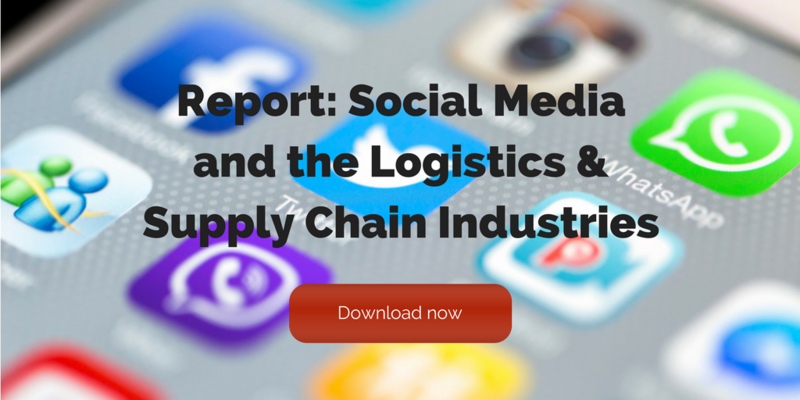 Make the most of your supply chain leaders’ social media accounts by following these steps. I’ve written many times before about the importance of supply chain leaders being on social media as the face of their brands. Social media presents a huge opportunity for executives to use their relative industry celebrity to be an extension of their organizations. 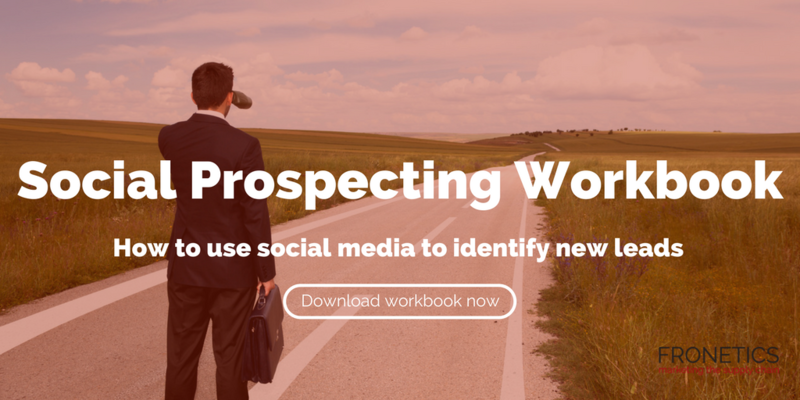 So you are ready to commit to a more active social media presence (or you’re going to be ghost-posting for your executive). Where do you begin? We’ve come up with 4 tips for supply chain leaders to making the most of their presence on social media. 1) Find the right platform (or platforms) for you. The first thing to consider is your target audience. If you’re looking to reach a young demographic, for example, Snapchat is probably the way to go, as 45% of its users are under the age of 24. Likewise, if your brand would be well-served by live video (hint: it probably will! ), Facebook Live and Instagram Stories offer great possibilities. Next, think about your personal voice, and what type of content you are likely to be posting. Thought leadership can often best be established on LinkedIn. But that doesn’t mean that Facebook, Twitter, and YouTube aren’t also good avenues to present your voice to the world. Pick the platforms that you feel speak most to your audience and best serve your brand. 2) Use your creative side. Supply chain and logistics leadership requires a tremendous amount of creativity and innovation. Let these qualities shine through in your social media presence! 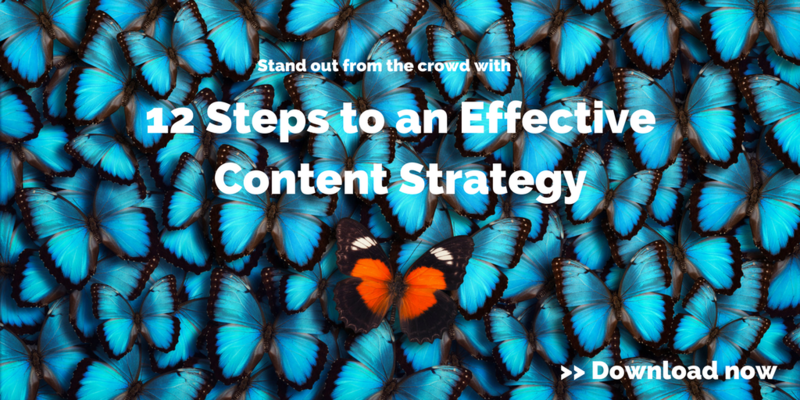 You have the tools to spark more engagement, increase follower count, and make your posts go viral. This means using your unique voice to be a storyteller, engage your audience, and create a face for your brand. If you need some inspiration, check out these 7 Twitter accounts. 3) Create space for conversation. Too many would-be social media mavens fall into the trap of posting the kind of content that doesn’t invite interaction. Instead, be a conversation-starter. First, take a look at your audience and what kind of interactions they have online. You can scan the pages of other leaders in your niche as a reference point. You can generate interaction and engagement by showing gratitude, listening to your audience, handling queries, posting thought-provoking content, and posing questions in your posts. This might seem obvious, but there’s a fine line to walk between posting or re-posting thought-provoking content and becoming an inadvertently controversial figure. Keep in mind that, in the public platforms that are social media, all your moves will be under constant scrutiny from your fans, followers, and people in their networks. This means that while cultivating a personal voice, it’s important to maintain a level of professionalism. And stay away from posting anything that can make you a lightning rod for controversy! Where do you go to follow supply chain leaders on social media? 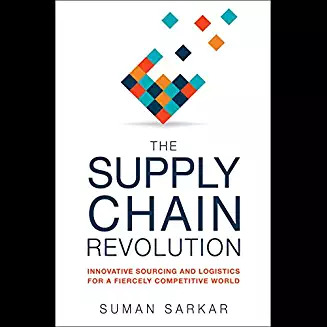 Here are five books for supply chain leaders to stay on top of industry trends and management practices. All executives and managers bring different skills to the table. They have different experiences and approaches that set them apart. So what makes an executive a great leader? Great leaders embody the ability to inspire and empower their teams to succeed. But great leaders don’t stay great, unless they continue to adapt to new environments, approaches and, ultimately, challenges. One of the best ways to sharpen your leadership skills is by learning from other leaders’ experiences. Leadership books, especially those focused on the supply chain and logistics industries, give valuable insight into the trials and triumphs of your industry peers’ encounters. 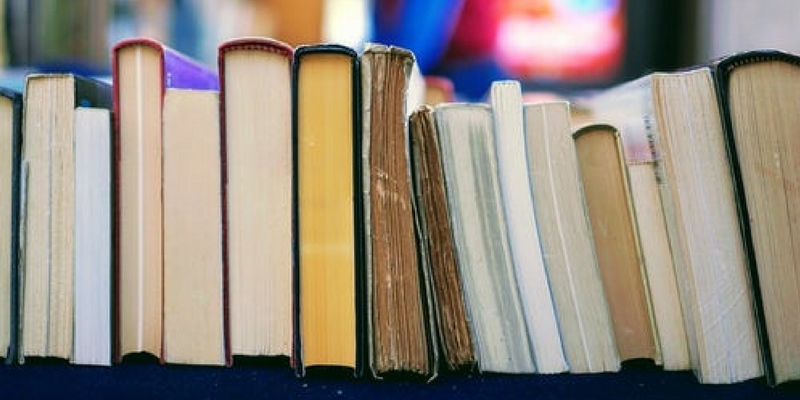 Here are five books that we recommend reading to keep getting the job done: empowering your team, learning about industry trends, updating your management practices, and other key insights. The smartest leaders see supply chain and sourcing for what they can be: hidden tools for outperforming the competition. Steve Jobs, upon returning to Apple in 1997, focused on transforming the supply chain. He hired Tim Cook, and the company sped up the development of new products, getting them into consumers’ hands faster. The rest is history. Across a range of industries, once-leading companies are in trouble. While competitors were shuttering stores, Zara’s highly responsive supply chain made it the most valued company in the retail space and its founder, the richest man in Europe. The success of TJX, Amazon, Starbucks, and Airbus is fueled by supply chain and sourcing. Showcasing real solutions, The Supply Chain Revolution aims to educate leaders to improve customer satisfaction and increase revenue. The Forklifts Have Nothing To Do! 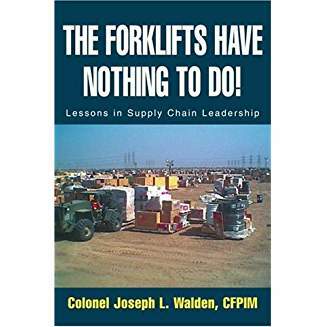 by Colonel Joe Walden provides practical methods for improving supply chain operations. Walden has spent more than 25 years leading supply chain operations and believes that improving your supply chain will improve your bottom line, regardless of your industry. His recommendations draw on examples in civilian industry and military operations, including his recent experiences in Operation Iraqi Freedom. Supply chain operations in the military are very similar to supply chain operations in commercial industry. Both have the ability to improve operations for the customer. 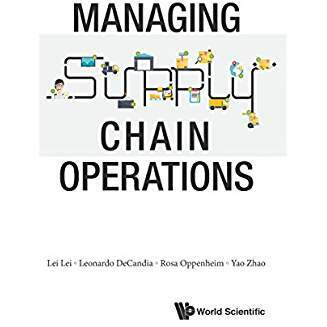 Managing Supply Chain Operations by Lei Lei, Leonardo DeCandia, Rosa Oppenheim, and Yao Zhao shows leaders the key drivers of supply chain performance. These include demand forecasting, sales and operations planning, inventory control, capacity analysis, transportation models, supply chain integration, and project management and risk analysis. The book is enhanced by real-life examples and case studies, as well as strategies from best practices and a focus on social and economic impact. 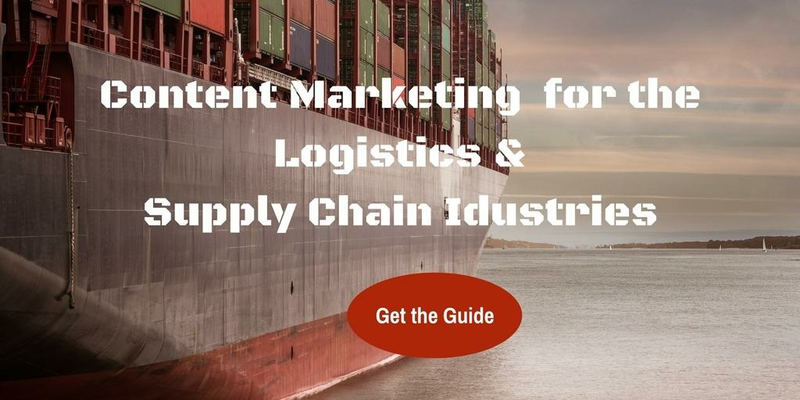 The content reaches beyond traditional operations management and draws on the extensive experience of the authors conducting industry projects through the Rutgers Center for Supply Chain Management. The input of senior business executives has been an invaluable asset in presenting a balanced knowledge of both quantitative models and qualitative insights. 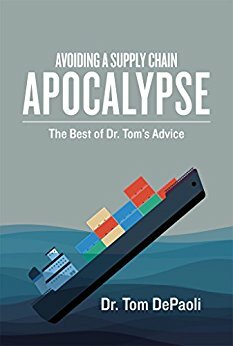 In his creative guide Avoiding a Supply Chain Apocalypse, Dr. Tom DePaoli offers practical strategies and tactics, learned and tested from his purchasing and supply chain career. DePaoli recommends a multi-faceted, diverse approach to avoiding supply chain meltdowns. He challenges readers to survey his best writings and to select what fits their particular organizational cultures. There is no one-size-fits all in the supply chain. As the importance of supply chain management grows leaps and bounds, the supply chain professional must develop multiple options and proficient tactics to ensure the continuity of the supply chain. One cannot snap their fingers and deliver supply chain success. It happens over the course of many years and is measured in inches not miles. In this book, Lora M. Cecere evaluates the progress of over a hundred companies over the period of 2006-2013. The effective supply chain makes a difference in winning a war, saving a patient, and driving commerce. But it also makes a difference in a community having clean air, potable water, and a higher standard of living. Mistakes are hard to overcome. Supply Chain Metrics that Matter tells this story. 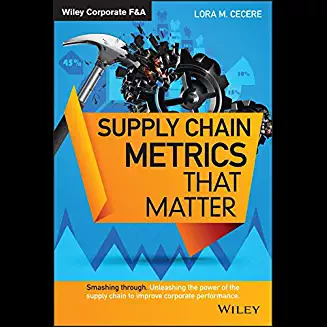 The book links corporate financials to supply chain maturity, and what metrics matter most. What books for supply chain leaders do you recommend?